SCTE 224 is an Event Schedule Notification Interface (ESNI) standard that was approved by the Society of Cable Telecommunications Engineers (SCTE) in 2015. SCTE 224 expands on previous standards and enables content distribution based on attributes that are now critical to our mobile world, such as device type and geographic location and 100s of other characteristics. Audience-facing electronic program guides (EPGs) are also created with this communication in order to set accurate expectations with viewers as to what’s going to be available, when, and to whom. SCTE 224 provides a robust framework of extensible markup language (XML) messages. It details descriptions of audience characteristics, and viewing policies associated with each audience, it also allows for channels (Media) and individual events (MediaPoints) to describe start and end times (MatchTime) or in-band signaling (MatchSignal) information. Once you have the event trigger and audiences for events, you can provide the appropriate metadata for the applicable situation. Although the framework is robust, it’s a meticulous and complicated set of processes to bring all your content into one standard format, maintain visibility across a diverse delivery ecosystem, ensure that content is only being delivered where it should be, and communicate clearly to every distribution point. In 2018, the Society of Cable Telecommunications Engineers (SCTE) released its first revision of SCTE 224 which clarifies details about ESNI, adds new capability for reusable MediaPoints and sets priority for Policy application. This revision also initiates the presence of advertising metadata inclusion in to the SCTE 224 protocol. This exciting new development opens the use of SCTE 224 for areas well beyond the traditional blackout domain, and now allows a large host of rights management functionality to be included. It greatly enriches the communication path between Content Provider and Distribution Partner for the conveyance of the whole spectrum of linear and VOD rights in a machine-to-machine automated fashion. WHAT IS SCTE 224: SCTE 224 is an Event Schedule Notification Interface (ESNI) standard that was approved by the Society of Cable Telecommunications Engineers (SCTE) in 2015. SCTE 224 expands on previous standards and enables content distribution based on attributes that are now critical to our mobile world, such as device type and geographic location and 100s of other characteristics. Audience-facing electronic program guides (EPGs) are also created with this communication in order to set accurate expectations with viewers as to what’s going to be available, when, and to whom. SCTE 224 provides a robust framework of extensible markup language (XML) messages. It details descriptions of audience characteristics, and viewing policies associated with each audience, it also allows for channels (Media) and individual events (MediaPoints) to describe start and end times (MatchTime) or in-band signaling (MatchSignal) information. Once you have the event trigger and audiences for events, you can provide the appropriate metadata for the applicable situation. Although the framework is robust, it’s a meticulous and complicated set of processes to bring all your content into one standard format, maintain visibility across a diverse delivery ecosystem, ensure that content is only being delivered where it should be, and communicate clearly to every distribution point. In 2018, the Society of Cable Telecommunications Engineers (SCTE) released its first revision of SCTE 224 which clarifies details about ESNI, adds new capability for reusable MediaPoints and sets priority for Policy application. This revision also initiates the presence of advertising metadata inclusion in to the SCTE 224 protocol. This exciting new development opens the use of SCTE 224 for areas well beyond the traditional blackout domain, and now allows a large host of rights management functionality to be included. It greatly enriches the communication path between Content Provider and Distribution Partner for the conveyance of the whole spectrum of linear and VOD rights in a machine-to-machine automated fashion. HOW IS SCTE 224 USED AT COMCAST TECHNOLOGY SOLUTIONS? Comcast Technology Solutions is a leader in SCTE 224 rights metadata formatting and management. We have to be – it’s critical to the personalized experiences we deliver to our own subscribers. With our Linear Rights Metadata Management (LRM) offering, we provide a holistic approach that transforms complex processes into manageable workflows, freeing you to focus on the quality of your content. INGEST Ingest your current program event data, and output a SCTE 224 compliant event that can be delivered to all your distribution partners. Support for additional advanced metadata fields, including look back and start over rights. Convert input schedules to SCTE 224 events with an API that allows for multiple schedule ingest formats. OPERATE Utilize the LRM console to view all event data, identify program gaps, edit/extend events in real time, and verify proper delivery. View policies as they are applied through both geographic and schedule views. Store your data prior to broadcast to distributors, or for archive/audit (up to 120 days post-distribution). STANDARDIZE Leverage our robust set of best practices as part of your LRM service. Comcast Technology Solutions’ recognized leadership in SCTE 224 metadata formatting results in a proven approach that frees you to be more creative in your content delivery strategy. AGGREGATE Reduce the resources and time to develop and integrate with multiple processes. The LRM Aggregation Service gives the operator a one-stop-shop to receive SCTE 224 metadata in a standardized format. DISTINGUISHED ENGINEER AT COMCAST TECHNOLOGY SOLUTIONS STUART KURKOWSKI, PHD Stuart is a recognized technical leader in the dynamic ad insertion and VOD/linear metadata fields. He is widely respected as an energetic thought leader, both internally and externally, within the cable, broadcast and OTT sectors. He’s the technical lead behind the Comcast Technology Solutions Linear Rights Metadata Manager, an unprecedented and market-leading product used by FOX Networks, NBCU, and others. As such, his expertise spans standards efforts including SCTE standards 130, 35, and 224 (he authored its latest major revision) as well as CableLabs ESNI. As an active mentor, Stuart is currently guiding four Comcast colleagues – both peers and non-peers – within Comcast Technology Solutions’ Denver and Video IP Engineering and Research (VIPER) offices. In addition, he was personally requested by both FOX and NBCU to provide mentorship in SCTE 224 activities. Stuart joined Comcast in 2015, after serving as a Communications and Computer Officer in the United States Air Force. .
How is SCTE 224 used at Comcast Technology Solutions? Comcast Technology Solutions is a leader in SCTE 224 rights metadata formatting and management. We have to be – it’s critical to the personalized experiences we deliver to our own subscribers. With our Linear Rights Metadata Management (LRM) offering, we provide a holistic approach that transforms complex processes into manageable workflows, freeing you to focus on the quality of your content. Ingest your current program event data, and output a SCTE 224 compliant event that can be delivered to all your distribution partners. Support for additional advanced metadata fields, including look back and start over rights. Convert input schedules to SCTE 224 events with an API that allows for multiple schedule ingest formats. Utilize the LRM console to view all event data, identify program gaps, edit/extend events in real time, and verify proper delivery. View policies as they are applied through both geographic and schedule views. Store your data prior to broadcast to distributors, or for archive/audit (up to 120 days post-distribution). Leverage our robust set of best practices as part of your LRM service. Comcast Technology Solutions’ recognized leadership in SCTE 224 metadata formatting results in a proven approach that frees you to be more creative in your content delivery strategy. Reduce the resources and time to develop and integrate with multiple processes. The LRM Aggregation Service gives the operator a one-stop-shop to receive SCTE 224 metadata in a standardized format. Stuart is a recognized technical leader in the dynamic ad insertion and VOD/linear metadata fields. He is widely respected as an energetic thought leader, both internally and externally, within the cable, broadcast and OTT sectors. He’s the technical lead behind the Comcast Technology Solutions Linear Rights Metadata Manager, an unprecedented and market-leading product used by FOX Networks, NBCU, and others. As such, his expertise spans standards efforts including SCTE standards 130, 35, and 224 (he authored its latest major revision) as well as CableLabs ESNI. As an active mentor, Stuart is currently guiding four Comcast colleagues – both peers and non-peers – within Comcast Technology Solutions’ Denver and Video IP Engineering and Research (VIPER) offices. In addition, he was personally requested by both FOX and NBCU to provide mentorship in SCTE 224 activities. Stuart joined Comcast in 2015, after serving as a Communications and Computer Officer in the United States Air Force. WHAT IS SCTE 224: SCTE 224 is an Event Schedule Notification Interface (ESNI) standard that was approved by the Society of Cable Telecommunications Engineers (SCTE) in 2015. SCTE 224 expands on previous standards and enables content distribution based on attributes that are now critical to our mobile world, such as device type and geographic location and 100s of other characteristics. Audience-facing electronic program guides (EPGs) are also created with this communication in order to set accurate expectations with viewers as to what’s going to be available, when, and to whom. SCTE 224 provides a robust framework of extensible markup language (XML) messages. It details descriptions of audience characteristics, and viewing policies associated with each audience, it also allows for channels (Media) and individual events (MediaPoints) to describe start and end times (MatchTime) or in-band signaling (MatchSignal) information. Once you have the event trigger and audiences for events, you can provide the appropriate metadata for the applicable situation. Although the framework is robust, it’s a meticulous and complicated set of processes to bring all your content into one standard format, maintain visibility across a diverse delivery ecosystem, ensure that content is only being delivered where it should be, and communicate clearly to every distribution point. In 2018, the Society of Cable Telecommunications Engineers (SCTE) released its first revision of SCTE 224 which clarifies details about ESNI, adds new capability for reusable MediaPoints and sets priority for Policy application. This revision also initiates the presence of advertising metadata inclusion in to the SCTE 224 protocol. This exciting new development opens the use of SCTE 224 for areas well beyond the traditional blackout domain, and now allows a large host of rights management functionality to be included. It greatly enriches the communication path between Content Provider and Distribution Partner for the conveyance of the whole spectrum of linear and VOD rights in a machine-to-machine automated fashion. HOW IS SCTE 224 USED AT COMCAST TECHNOLOGY SOLUTIONS? Comcast Technology Solutions is a leader in SCTE 224 rights metadata formatting and management. We have to be – it’s critical to the personalized experiences we deliver to our own subscribers. With our Linear Rights Metadata Management (LRM) offering, we provide a holistic approach that transforms complex processes into manageable workflows, freeing you to focus on the quality of your content. INGEST Ingest your current program event data, and output a SCTE 224 compliant event that can be delivered to all your distribution partners. Support for additional advanced metadata fields, including look back and start over rights. Convert input schedules to SCTE 224 events with an API that allows for multiple schedule ingest formats. OPERATE Utilize the LRM console to view all event data, identify program gaps, edit/extend events in real time, and verify proper delivery. View policies as they are applied through both geographic and schedule views. Store your data prior to broadcast to distributors, or for archive/audit (up to 120 days post-distribution). STANDARDIZE Leverage our robust set of best practices as part of your LRM service. Comcast Technology Solutions’ recognized leadership in SCTE 224 metadata formatting results in a proven approach that frees you to be more creative in your content delivery strategy. AGGREGATE Reduce the resources and time to develop and integrate with multiple processes. The LRM Aggregation Service gives the operator a one-stop-shop to receive SCTE 224 metadata in a standardized format. DISTINGUISHED ENGINEER AT COMCAST TECHNOLOGY SOLUTIONS STUART KURKOWSKI, PHD Stuart is a recognized technical leader in the dynamic ad insertion and VOD/linear metadata fields. He is widely respected as an energetic thought leader, both internally and externally, within the cable, broadcast and OTT sectors. He’s the technical lead behind the Comcast Technology Solutions Linear Rights Metadata Manager, an unprecedented and market-leading product used by FOX Networks, NBCU, and others. As such, his expertise spans standards efforts including SCTE standards 130, 35, and 224 (he authored its latest major revision) as well as CableLabs ESNI. As an active mentor, Stuart is currently guiding four Comcast colleagues – both peers and non-peers – within Comcast Technology Solutions’ Denver and Video IP Engineering and Research (VIPER) offices. In addition, he was personally requested by both FOX and NBCU to provide mentorship in SCTE 224 activities. 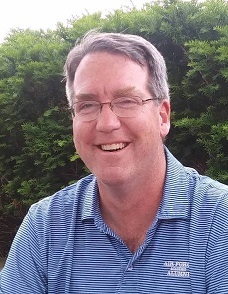 Stuart joined Comcast in 2015, after serving as a Communications and Computer Officer in the United States Air Force.